We chose three locations with rich histories that offer very different experiences… and three areas we love, know very well, and want to share with you. 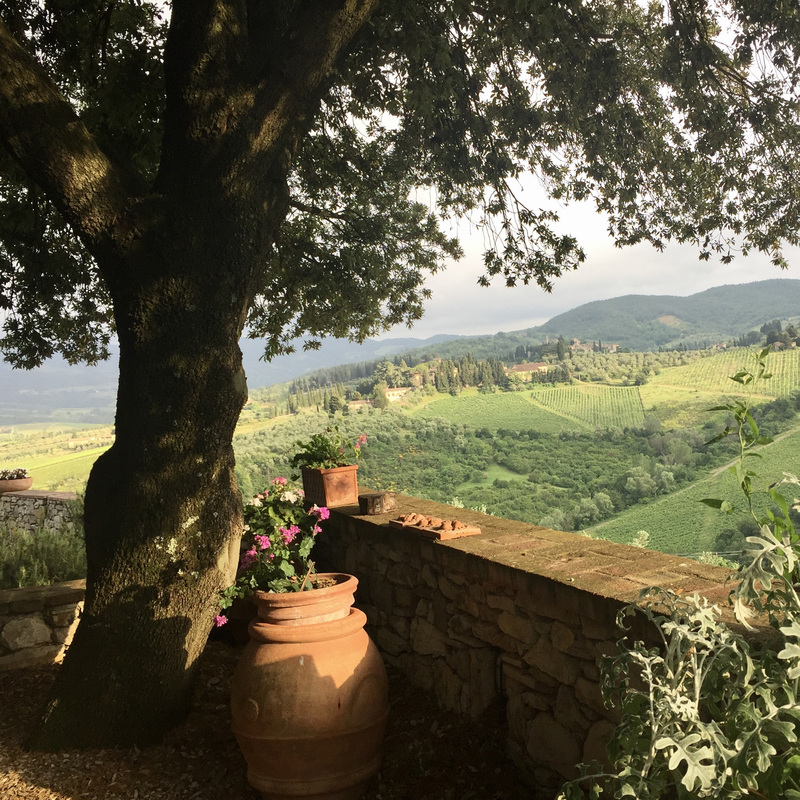 Each location also enables us to easily access the surrounding countryside and small villages to enrich an already-special trip. Our trip begins in Salzburg on December 2, traveling west to Munich and then Colmar. The Christmas season is an incredibly special time of year in many parts of Europe, demonstrating strong regional traditions. Creative decorations and colorful lights enhance the charm of medieval buildings and cobblestone streets. Christmas markets are found across Europe in cities, towns, and villages, some lasting more than a month and some just a weekend. The season also involves special exhibitions, concerts, and other entertainment. The major Christmas markets are typically outdoors and feature booths or chalets selling a wide variety of merchandise including holiday ornaments and decorations, nativity scenes, toys, gifts, handicrafts, gourmet food, takeaway food, and of course hot mulled wine (“glühwein” in German or “vin chaud” in French). There may be music and other entertainment, as well as special activities for children. Some markets feature only products made by local artisans. And there are “theme” markets, such as medieval markets. But our European Christmas Experience trip includes much more than markets, shopping, and holiday traditions. We’ll also experience the richness of the culture, history, and cuisine in each area we’ll visit. And if you’ve visited these places before in warmer months, you’ll find that the festive holiday environment and crisp, winter weather will make this a very different experience. We’ve put together a wonderful 12-day program to highlight the best of each area: unique experiences, walking tours with local guides, options for museum visits based on your interests, musical events, day trips to the countryside, a variety of special meals, and much more. You’ll have free time in each location to browse the Christmas markets and retail shops, visit other historic sites and museums, stroll at your leisure, linger in cafes or coffee shops, or just relax. 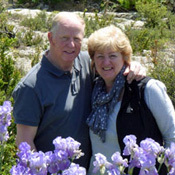 We’re always there to offer advice and suggestions and share our personal discoveries. The setting of this beautiful city is breathtaking, nestled on either side of the Salzach River and surrounded by mountains. The baroque architecture, the impressive Hohensalzburg fortress on its hilltop, the many church towers, and the winding streets and narrow passageways add to the magical atmosphere. A UNESCO World Heritage site, Salzburg has a population of 150,000. Salzburg is idyllic at any time of year, but especially at Christmas. There are six Christkindlmarkts in the city, the largest spilling over two big squares around the cathedral. There’s even a Christmas museum with an extensive collective of Christmas memorabilia that showcases the holiday traditions of this region. 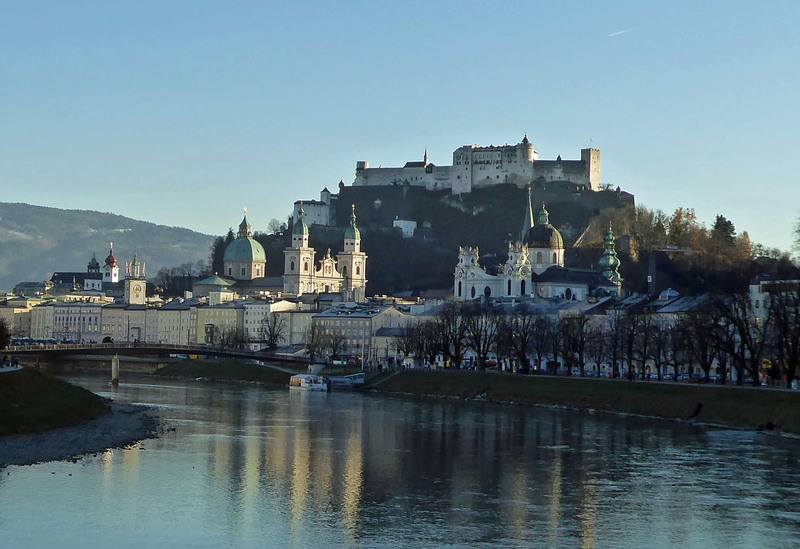 As the city of Mozart, Salzburg has a strong musical heritage and focus. We’ll enjoy a couple of musical events during our time here, and you’ll see sites where “The Sound of Music” was filmed back in 1964. 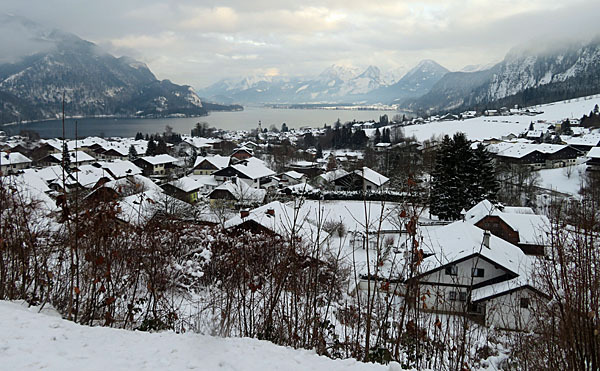 We’ll also travel out to the countryside to tour a salt mine, have lunch at a family farm, and visit two villages in the picturesque Salzkammergut lake region. The capital of the state of Bavaria, Munich is one of Europe’s great cities, home to almost 1.5 million people. The historic center includes the remains of the medieval fortifications and a mix of impressive architecture extending over many centuries. There are elaborately-decorated churches, world-class museums, outstanding restaurants, and fun beer halls. We especially enjoy the Viktualienmarkt, Munich’s open-air food market, a combination farmer’s/gourmet food market with over 140 stands and shops. 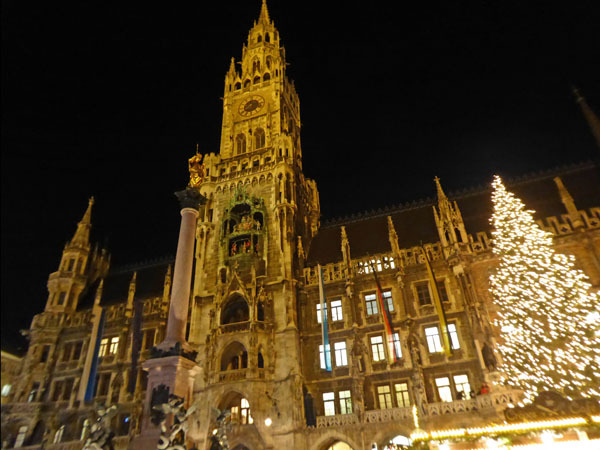 Munich’s tradition of Christmas markets has developed over hundreds of years. The city hosts seven different markets, including a medieval market. 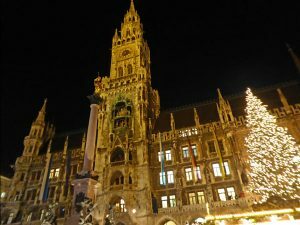 The most important Christmas market fills the Marienplatz, the big square in front of the magnificent city hall, and extends several blocks down the pedestrian streets. The centerpiece is the 85-foot high Christmas tree, decorated with 3,000 lights and surrounded by hundreds of colorful stands. It’s an easy and scenic trip by train from Munich to the Bavarian Alps. We’ll spend most of the day in the picturesque Alpine village of Oberammergau, best known for its once-every-ten-years Passion Play. You’ll especially enjoy the elaborately-painted houses, a technique called “luftlmalerei.” We’ll also visit the exquisite Schloss Linderhof, one of King Ludwig II of Bavaria’s fairytale castles. Forty-five miles south of Strasbourg, near France’s borders with Germany and Switzerland and adjacent to the Wine Road that winds through the vineyards and villages of the Alsatian countryside, Colmar is a busy town of 68,000 people and the capital of the Alsatian wine region. Alsace shifted back and forth between Germany and France four times since 1870. As a result, this area has a truly unique culture reflecting both French and German influences. 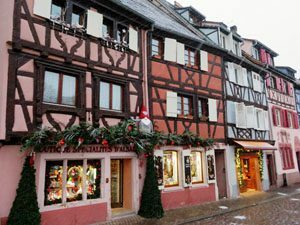 There are five Christmas markets in Colmar’s medieval center (including an artisan market in the old customs house), and storefronts and houses are beautifully decorated and illuminated after dark. The Petite Venise area on the canals of the river Lauch is especially magical. We’ll travel by train to the city of Strasbourg (an easy 33 minute trip) to spend a day exploring this “Christmas Capital of Europe.” With eleven Christmas markets on its Grande Île (the beautiful historic center), Strasbourg is vibrant with decorations and lights during this season. We’ll stay late enough to enjoy the colorful lights before heading back to Colmar. Colmar is a charming town; in addition to the Christmas festivities we’ll enjoy the colorful Alsatian architecture, the highly-regarded Unterlinden art museum or the Bartholdi museum (honoring the sculptor from Colmar who designed the Statue of Liberty), the covered food market and other historic buildings, and the famous Alsatian wine and gastronomic specialties. 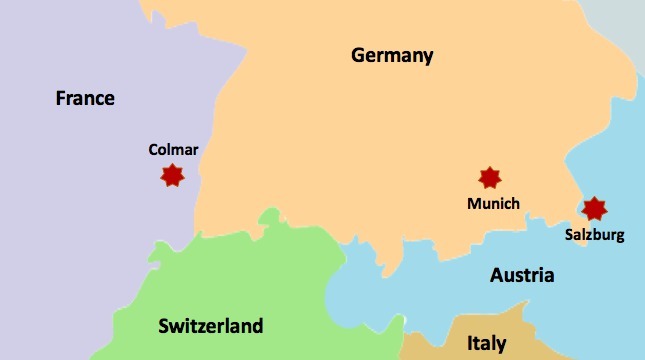 We’ll also spend a day in the countryside outside Colmar, visiting several of the colorful Alsatian villages. All rooms are double rooms. Our trips are priced based on the number of occupants in each room. 12 nights’ accommodation in well-located 3- and 4- star hotels with authentic local charm. All rooms have ensuite bathrooms. 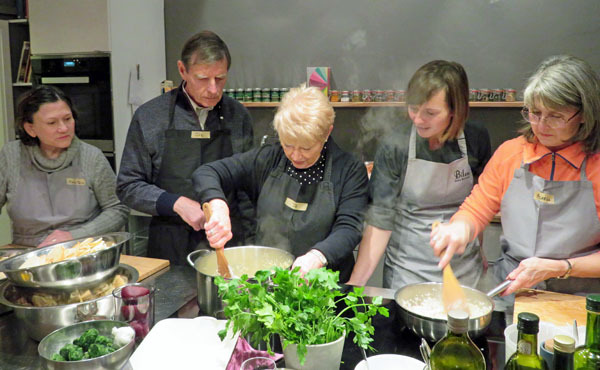 12 breakfasts, 8 lunches, and 9 dinners (including a Mozart dinner concert in Salzburg and a cooking class with dinner in Munich). You’ll have 3 lunches and 3 dinners on your own, one in each location. Wine and/or beer of our choice is included at all dinners and many lunches. Interested in this trip? Contact us for a detailed itinerary and all the practical details you need to know. We’d love to celebrate the holiday season with you.